Here you will find frequently asked questions from our customers on how to order a product, order processing, and security of information. If you can't find what you're looking for, please reach out to our team and someone will get back to you shortly. Can I purchase for more than one location with a single user id? Is this my price? Does it include all additional charges? How can I get a MSDS? What are the different status levels for orders on the Order Status page? Can I review all of my orders? Can you send confirmations to more than one recipient? Can I place an order at any time? I am looking for information not contained on the site? Contact us today to learn more about Brenntag, or if you have a question about our services. 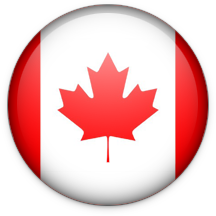 Brenntag Canada’s Online Store is totally integrated with our backend ERP system. When you hit the send button the order is automatically generated in our system. Your regular customer service rep immediately receives an alert that you have sent the order. The order is reviewed and processed in real time. If we have any questions about the order, or if there are any issues related to getting product to you, your customer service representative will call you. Once we have reviewed the order you will receive an email to confirm receipt. I want to order a product that is not on my selection list. Brenntag Canada sells over 15,000 different products. In order to streamline online order entry, we only list products that you have expressed an interest in. If you would like to order a product not found on your list, let us know and we will be happy to add it. Click here to tell us what additional materials you would like to order. Yes, we can configure your id to give you access to all of your locations with a single login id. Our Online Store employs digital certificates and 128 bit encryption to ensure data transmitted over the web is secure from prying eyes. We have endeavored to include all items that come together to make up a price for a product. However, charges for some items like some freight items may not be known until after the order has been delivered. We make every attempt to ensure line item prices and totals displayed on the web site are current and accurate, however, they are presented as estimates only. For each product shown on your product selection list there is a link to its MSDS. Click on the link and the MSDS will appear in pdf format in a separate window. “A” means we have received the order from you. At this point we have not shipped any items. “B” means we have shipped some of the items on your order, but not all. Some items have been shipped but others are awaiting shipment. “C” means all of the items listed on the order have been shipped. You can review orders for each location you are authorized to buy for. The Order Status/History page lists the order history for the past 90 days. You can search for orders beyond that point or search by your purchase order number, sales order number, or our product code. We can automatically email an order confirmation to more than one recipient if needed. No, we perform system maintenance every night between 12:00 am EST and 5:00 am EST. During these times our Online Store is unavailable. Our normal business hours are from 8:30 AM to 5:00 PM Monday to Friday in your time zone. Orders placed online are processed in our local offices during normal business hours. If you place an order outside of these hours, it will be processed on the next business day. Confirmations will only be sent after we have processed your order. Our goal is to exceed customer requirements. If there is something not on the site that you would like to see, drop us a line at sales@brenntag.ca and tell us what you would like to see. We will look for a way to get it there.